This fabulous two bedroom, 1 bathroom 1004 sqft condo streams with sunlight from three exposures. Arched doorways, high ceilings and flowing spaces beckon relaxation, looking out over the tree-lined avenue. The open kitchen features a granite island and maple cabinetry. There are numerous recent improvements including renovated bathroom, new stainless steel appliances, new energy efficient double-pane windows, hot water heater, refinished oak hardwood floors, and fresh paint. An in-unit new washer/dryer, plus extra storage and assigned parking space complete this unique offering. 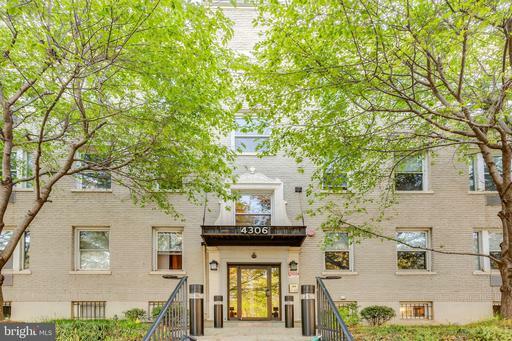 Pet friendly, The Glens is ideally located near Rock Creek Park, Metro, and downtown.